Settled in 1640, Haverhill, Massachusetts' present day population of almost 62,000 has maintained characteristics of hometowns throughout New England. Found within Haverhill is a revitalized business district which, Haverhill's residents note, includes one of the finest Queen Anne style industrial streetscapes in America. An established restaurant district and a proliferation of specialty shops are all within walking distance of each other, while surrounding neighborhoods reflect interesting architectural diversity, displaying Victorian splendor, blue-collar housing and early 20th century middle class avenues. These residential neighborhoods display Haverhill's prominence in the shoe industry as well as its wealth of ethnic heritage and tradition. A rural village built around Bradford Common, a riverfront area where shipbuilding was carried on, is also part of Haverhill's architectural resources. Haverhill has a tremendous array of active and passive recreational opportunities, such as four 18-hole golf courses, one par 3 golf course, a down hill ski area, two riding academies, a public skating rink and a sailing program. The Merrimack River meanders through Haverhill providing opportunities for fishing, canoeing and sailing. A trail network along the river is under construction to provide walking, jogging and bird watching opportunities. Haverhill's residents invite visitors to come and watch the growing population of bald eagles which seasonally inhabit Haverhill along the Merrimack. Northeastern Massachusetts on the Merrimack River. Bordered by Methuen on the west, Groveland and Boxford on the south, West Newbury on the east, Merrimac on the northeast, and the state of New Hampshire on the north. 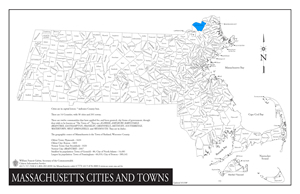 Haverhill is 31 miles north of Boston; 31 miles from Manchester, New Hampshire; and 250 miles from New York City. 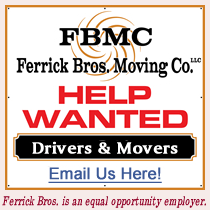 Ferrick Bros. Moving Company's experienced movers proudly serve the Haverhill, Massachusetts community including Bradford, Massachusetts.